This is the first post in a multi-part series exploring the behind-the-scenes elements of self-publishing and ebook creation. Something new for ye olde blog! Enjoy! Writing a book. I know, it sounds daunting, especially if you’ve never written one before. Traditionally speaking, a book length non-fiction work can run anywhere from 50,000 to 75,000+ words. If you’re used to bashing out articles that cap out around 1,000 words MAX, the thought of stretching that out times 70 can be terrifying, even crippling. I can’t possible do that, you might think. That’s way too much work. Or is it? The golden standard for books in the digital age is shifting just as fast as the publishing industry itself. Tradition can go scratch. It’s a brave new world out there. My first book, Up Up Down Down Left WRITE, clocked in at a pretty meaty 65,000 words or so. But my second book Interview Fu? Only 30,0000 words. My newest book? That’s under 20,000 words. And the next few books I have in the pipeline range between 10,000 and 20,000 words a pop. They’re short, snappy reads that deliver the info they’re designed to give without padding it out with extraneous fluff. As a reader, I dig that. As an author? It makes writing a larger volume of books a lot easier. The ebook revolution, fueled by the growing self-publishing landscape and Amazon’s KDP pricing structure that gives 70 percent royalties to authors who price their books between $2.99 and $9.99, is changing people’s perceptions of books. With gadgets, games, and other media competing for their attention, readers increasingly are open to shorter, more streamlined reads that they can dig into in short bursts. Sure, there are still plenty who prefer longer works too, but minds are more open to buying short books and even long-form articles on the Kindle marketplace. If your book is interesting, your content solid, and your price appropriately scaled back to fit your length, then it doesn’t matter if you write a shorter book. Hell, when the average book price is $2.99 and readers are hesitant to pay much more even for longer works, it doesn’t make sense to crank out an epic tome that’ll be a hard sell at the price you feel it’s really worth. It’s not cost effective if you want to make back your production expenses and turn a reasonable profit. Remember: editing, cover art, and other book-related expenses add up. This doesn’t mean you should short-change readers by skimping on the goods, but it does mean you don’t have to sweat a lighter word count if your book is still offer excellent info in a quality package. Tightly focused non-fiction books that solve a specific problem or tackle a very fine-tuned subject are a great example. I buy lots of ebooks in a given year, and most of them are within the $0.99 to $2.99 range. I still expect a certain quality in the writing and value of the content for sure, but I also am fine if it only takes me an hour or so to plow through these short reads. As free time and attention spans dwindle, the market for quick reads continues to grow. So what does this mean for writers curious about breaking into the book writing world but have reservations about cranking out more traditional length books? The barrier to entry is lower than ever, and if you’ve got a good topic, a strong angle, and an eager audience, now is a great time to start planning out your path to authorship. Stay tuned for Part II, where I’ll break down the process of generating and testing an idea for your short book. Do you want to tackle freelance writing jobs more efficiently? Improve your writing routine? Skyrocket your work productivity? Perfect your article pitching tactics? Learn to communicate with editors and network more effectively? And much more? 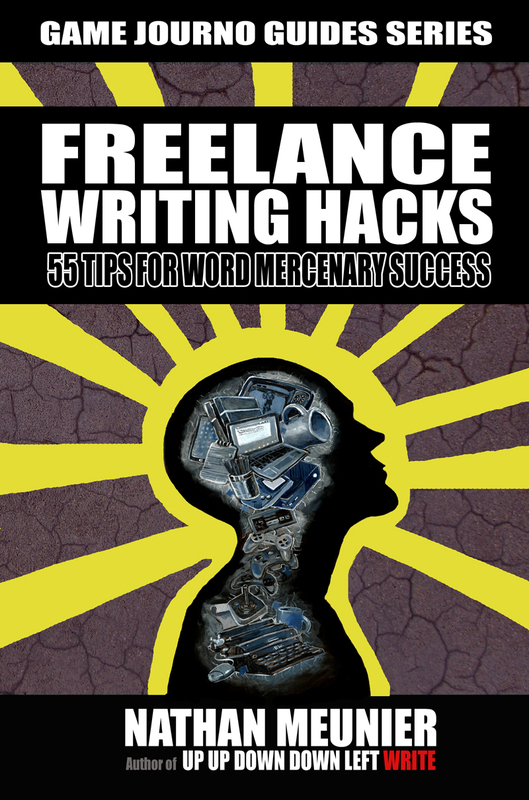 Freelance Writing Hacks contains 55 critical tips designed to help you power-up the most important facets of your freelance writing life. From scoring gigs and pleasing editors to fine-tuning your writing and mastering the business side of writing, the quick-hit advice in this must-read book will give you what you need to succeed! This entry was posted in Freelance Game Journo Shop Talk, Shop Talk and tagged advice, books, challenges of book launch, freelance, launching your book, nathan meunier, self-publishing, shop talk, writing by nmeunier. Bookmark the permalink.